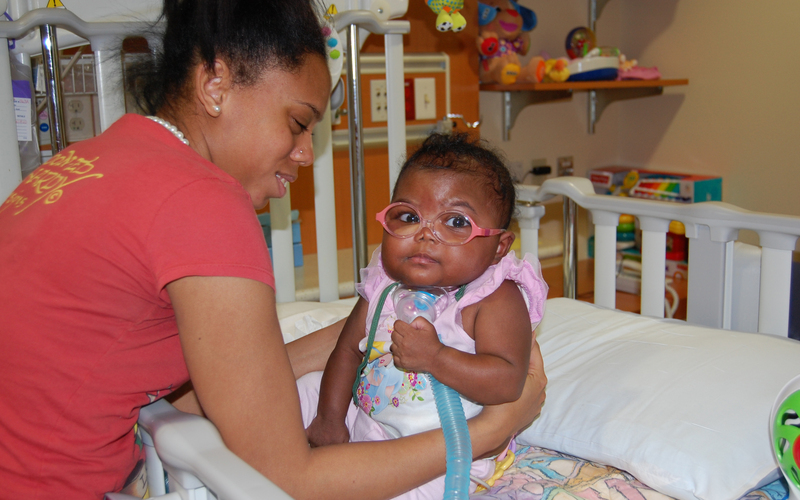 16-month-old Ariyana was born at a mere 25-weeks gestation, weighing only 15 ounces. Her immediate medical needs were highly complex, given her extreme prematurity. She had several serious complications, including bronchopulmonary dysplasia and retinopathy of prematurity. She was also diagnosed with severe pulmonary hypertension, a chronic disease characterized by elevated pulmonary blood pressure. This restricted blood flow through the lungs leads to lower blood oxygen levels, and the potential for life-threatening complications. She was treated with high-frequency oscillation (a type of mechanical ventilation which utilizes a very high respiratory rate) and inhaled nitric oxide. Pulmonary hypertension is relatively rare, occurring in only two children per one million. 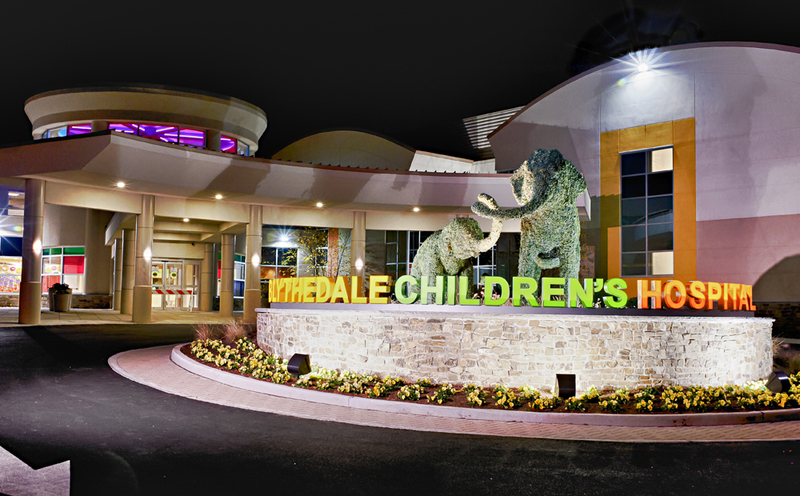 Despite its low occurrence, Blythedale treated 27 children with pulmonary hypertension in 2013.Pulmonary hypertension is a complicated disease to treat in a pediatric population, particularly in infants and micro-preemies. Blythedale is skilled in treatment protocols that include oral medications to prevent narrowing blood vessels (e.g. Bosentan) or those that widen pulmonary blood vessels (e.g. Sildenafil), inhaled medications to relieve shortness of breath (e.g. Iloprost), and intravenous or subcutaneous treatments that help ease symptoms of pulmonary hypertension (e.g Remodulin). Upon admission to Blythedale, Ariyana was fully dependent on a ventilator and unable to leave her hospital bed. Blythedale was the only specialty hospital able to accept her case and provide the high-level care she required in the NICU. Ariyana’s transfer of care to Blythedale was seamless and she has responded very well to her high-tech treatment protocol. Since her admission, she has been weaned off Iloprost, which enabled her to be transitioned to a portable ventilator, thus greatly improving her quality of life. Today, Ariyana attends "school” participating in the Infant Class in the Early Childhood Center at Blythedale, and reaching typical developmental milestones. Blythedale’s Ventilator Weaning Program is widely recognized as a national center of excellence due to the Hospital’s extraordinary success in weaning fragile infants and children from the technology previously needed to sustain their lives. At Blythedale, there are typically between 20 and 35 ventilators running daily, with as many as 20 infants and children undergoing weaning on any given day. More than one-third of all children admitted to Blythedale are referred for ventilator weaning and respiratory care. Of those children, 80% are weaned from the ventilator, 85% of our patients are discharged home, and, after six years, 97% of the children weaned remain ventilator free.